Well, this is a unique way to try and get out of those tolls. A Houston-area man was arrested after deputy constables say he was avoiding paying tolls by using a device that conceals his license plate. Preston Tablot is charged with possession of a “license plate flipper” according to the Harris County Precinct 4 Constable’s Office. The driver is said to owe more than $5,400 in tolls. 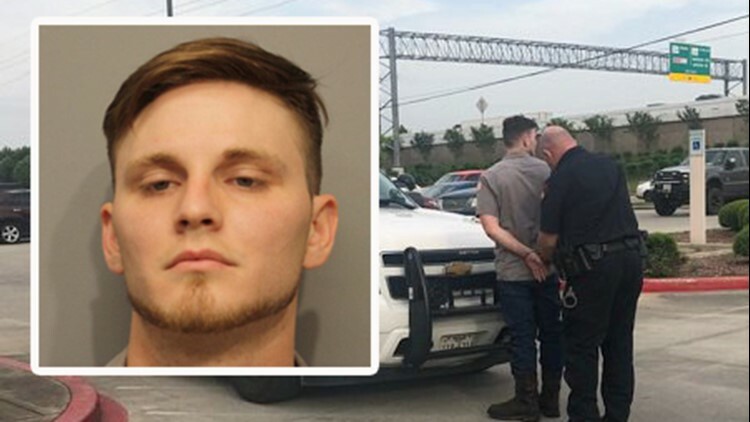 Talbot was pulled over by a deputy when they said he failed to pay a toll on the North Sam Houston Parkway West. During the traffic stop, deputies discovered the license plate flipper on the back of Talbot’s vehicle. Yes, it is illegal to have a “license plate flipper” in Texas. “He would activate this device, putting a flipper down in front of his license plate, so the cameras at toll plazas couldn’t read his plate,” Constable Mark Herman said. “Obviously, this was a stupid mistake,” Talbot’s mother, Becki Morgan told KHOU 11. What a “license plate flipper does” is that it allows a driver to flip between two license plates at the touch of a button in a 180-degree fashion. Meaning, a driver can flash a different plate when traveling through a toll to avoid getting photographed and penalized for not paying. Flippers usually go for $200 to $300 but again, they’re illegal in Texas.